Supplying stoves all over Ireland since 1969! The Charnwood Island. It's a whole new way of thinking in stoves. 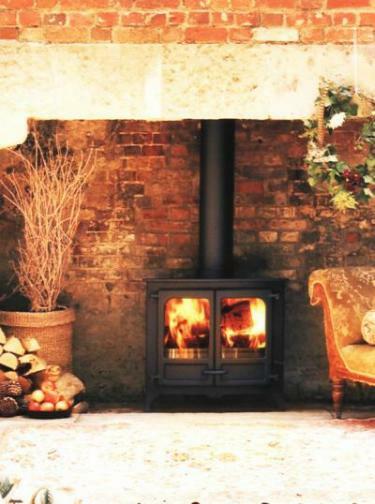 It's the simplicity of the stove that takes your eye in the first place. The way it looks; its uncomplicated handsome but robust lines - and the unmistakable mark of quality. 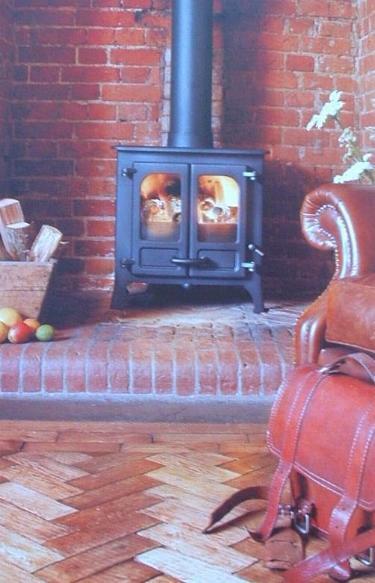 Everything about the Charnwood Island says, this is a well-made and well-engineered stove. Appreciate the gentle curves; see the quality of the handle and how good it feels as you open the door to replenish the fire. And notice how cool it is to the touch. Good for you; good for your family. Look deeper. Find the unique multi-fuel grate that gives you the freedom to choose which fuel you want to burn and set your grate to burn that fuel (be it wood, coal, smokeless fuel or peat) in the most efficient way. See how easy it is to switch the grate in one simple movement from the wood-burning to the solid-fuel burning mode; from the flat bed for wood burning to the open grate for coal and smokeless fuel. The grate employs an efficient riddling motion that neatly drops the ash into the pan below the grate, whilst the doors are closed, to minimise any mess. And then there is the ingenious QuattroflowTM air control system. This is what drives the stove. So simple to operate; one single lever that pulls out to increase the burning rate and pushes in to slow it to a gentle dancing flame. Simple though it is to operate, the way it controls the airflow into the Chrnwood Island is sophistication itself. The QuattroflowTM air control system ensures beautifully clear glass. Through a series of carefully controlled air flaps, it introduces pre-heated primary, secondary and tertiary air, into the stove at just the right place and in just the right amounts.